Swedish actor who has become a household name in his home country for playing police officer Johan Falk in more than 20 films, including Operation Näktergal and Blodsdiamanter. Before taking the role, he had recurring roles on television shows like Brotherhood. 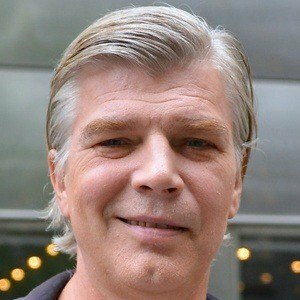 He worked as a stage actor in Stockholm, Sweden in the early 90's. He was been nominated for several Guldbagge Awards for his role as Johan Falk, earning his first nomination in 1998. He married actress Marie Richardson, who has played his on-screen girlfriend in several films. He appeared alongside Björn Gustafsson in the 2008 comedy Les Grandes Personnes.